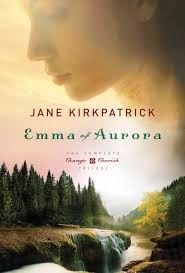 When Emma’s outspoken ways and growing skepticism lead to a clash with the 1850s Bethel, Missouri colony’s beloved leader, she finds new opportunities to pursue her dreams of independence. But as she clears a pathway West to her truest and deepest self, she discovers something she never expected: a yearning for the warm embrace of community. Determined to raise her children on her own terms, Emma suddenly finds herself alone and pregnant with her third child, struggling to keep her family secure in the remote coastal forest of the Washington Territory. As clouds of despair close in, she must decide whether to continue in her own waning strength or to humble herself and accept help from the very people she once so eagerly left behind. As a mother, daughter, sister, and estranged wife, Emma struggles to find her place inside—and outside—the confines of her religious community. Emma reaches out to others on the fringe, searching for healing and purpose. By blending her unique talents with service to others, she creates renewed hope as she weaves together the threads of family, friends, and faith." I have a soft spot for historical fiction, that's no secret. This book was a blessing in the fact that it took three books and put them all into one very large one. That meant, when I finished the first book, I didn't have to go scrambling to try to track down the second. I confess though that this series was one that ebbed and flowed for me. At times, I couldn't stop reading and at others, I felt like I was a bit bogged down. In the end, I was glad to have finished the whole series and even more glad when I realized that it was based on a real person! Did I mention that the author was brilliant enough to include a cast of characters? In a book this long, that's nearly an essential thing.